Delicious lamb roasts are synonymous with Greek culture, with the methods of preparation varying from region to region. While we might not always have the means – or the space in our house – to cook a whole lamb on the spit as many Greek families do on special occasions, we can still get those classic Greek lamb flavours when cooking in an oven. 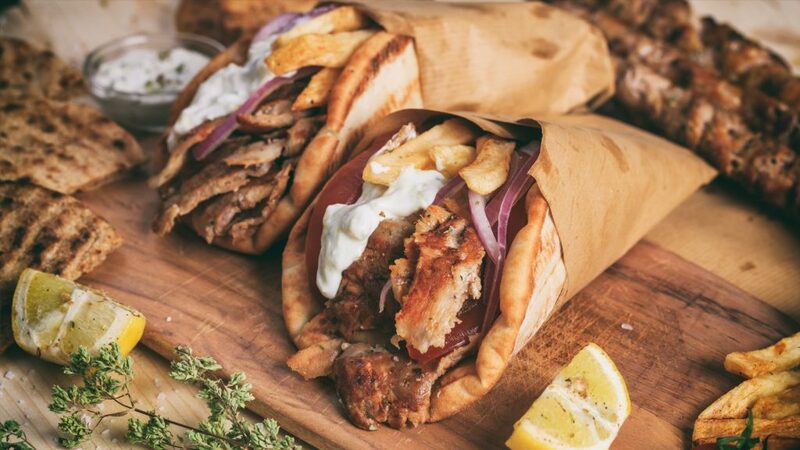 Actual recipes might vary, but there are a few classic ingredients that mix together perfectly to capture the essence of Greece and to draw out the rich flavours of your meat. Olive oil and lemons, both synonymous with Greek life and abundant all over the Greek islands, are the first things you’ll need. For herby flavour, you’ll want to reach for the dried Oregano. And finally, a good injection of garlic rounds out the flavours that are sure to dance on your tastebuds. While traditionalists might tell you that the only way to prepare lamb the authentic way is by cooking it whole and hand-turning it on a spit over several hours, that is not the case (trust us). While these flavours work equally well when used on anything from individual cutlets to lean backstrap, slow roasting a lamb leg is sure to please a crowd. To serve (can be cooked together or separately): whole baby or kipfler potatoes, 2 onions and good quality bread. Place your lamb in a deep baking dish so none of the seasoning goes to waste. Cut several slits onto the lamb on all sides using a sharp knife. Insert your cloves of garlic into the slits so they’re completely hidden in the meat. Rub oregano all over the surface of the lamb. Add water to the bottom of the dish. Pour over lemon juice and olive oil. If cooking your potatoes and onions alongside, scatter them into your dish around the lamb. Cover the whole dish with aluminium foil and follow with the lid of your dish, and place on the bottom rack in your oven. Cook for 2 – 3 hours, turning once halfway through. If the liquid evaporates you can add a little more water throughout the cooking process. Remove the covering and roast for a further 30 minutes to get some nice browning on top. Take the lamb out and set aside to rest with a loose foil covering. Strain the leftover juices into a jug to use as a sauce for the meat and potatoes. Add the potatoes back into the oven to crisp up for 30 minutes, if they aren’t at a texture you like already. Carve your lamb leg and serve with the potatoes, onion and the sauce. The sauce created by the mingling of the lamb juice, olive oil, oregano and lemon is packed full of flavours. Pour it over your meat and serve it with fresh crusty bread for dipping so none of the flavour goes to waste.